On October 9th you received an invitation from the Catholic School Council to participate in the St. John XXIII annual fundraising event. This year, Catholic School Council decided to continue with the One Time Donation Fundraiser. Last year, through your generous donations, we raised $6,263. Although we did not meet our goal, we are very grateful for the amount raised as it helped enhance our technology goals and provided some amazing workshop opportunities for our students. There are a few days left for this campaign….please help us meet our goal! CAMPAIGN ENDS OCTOBER 31st! 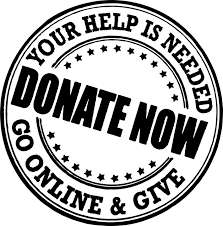 Donations can be made by cheque payable to St. John XXIII CES or online. Any donation over $25 is eligible for a tax receipt. A heartfelt thank you to all for your continued support and generosity.